Now that the Consumer Preview of Microsoft’s Windows 8 platform is available for testing, people have to consider where to install the beta OS. I put it on an iMac(s aapl) using Parallels software, mainly because I need my current Windows(s msft) laptop to be stable. But I do have two old netbooks in the closet, just collecting dust. Turns out, netbooks should mostly work to test Windows 8, provided you know the limitations and workarounds. Although it’s not optimal, and it takes a little tweaking to get Windows 8 working on a netbook, I’m planning to follow Linder’s lead and dust off an old netbook. Why risk a computer needed for daily activities or futz with a dual-boot situation when a low-cost laptop will give a taste of Windows 8? Thanks for this one. I am currently using Windows 8 preview version. I will try this one and see whather it is working or not. On my VAIO X-Series netbook no tweaks were neccesary, I did however change some system settings to speed it up a little, it’s not much different than speeding up Windows 7. 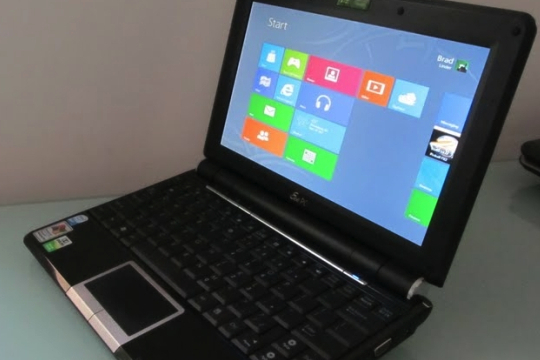 Check http://www.windows8netbook.com/windows-8-netbook-performance-tweaks/ for a step-by-step guide. This did work for my Dell Latitude 2100. I could not change the resolution because the height was less than 600. What I did was attach an old Dell 15″ monitor I have to the netbook and I was able to access the Store and run Metro apps. I nice feature I found out about was the ability to only have the external monitor active when one is plugged in. Correction: This did NOT work for my Dell Latitude 2100. $400 gets you a brand-new Cedar Trail netbook with a high-def panel, so the bang-for-the-buck capability is definitely there. Although I would rather get a x86 slate to test the new OS on and take advantage of the touch capabilities.